OMG Posters! » Archive New Posters from The Alamo Drafthouse (Onsale Info) - OMG Posters! The Alamo Drafthouse folks are ready for another insane print release today. 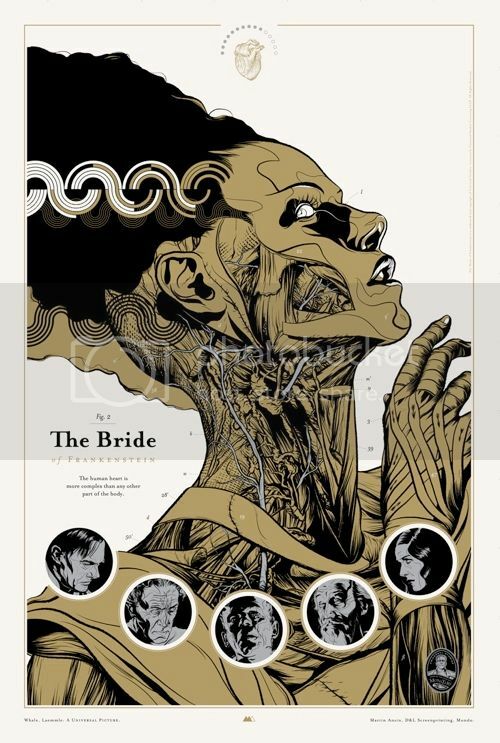 Martin Ansin’s “Bride of Frankenstein” poster is a 24″ x 36″ screenprint, has an edition of 235, and will be $45. There is also a silver glow-in-the-dark variant with an edition of 100 for $80. 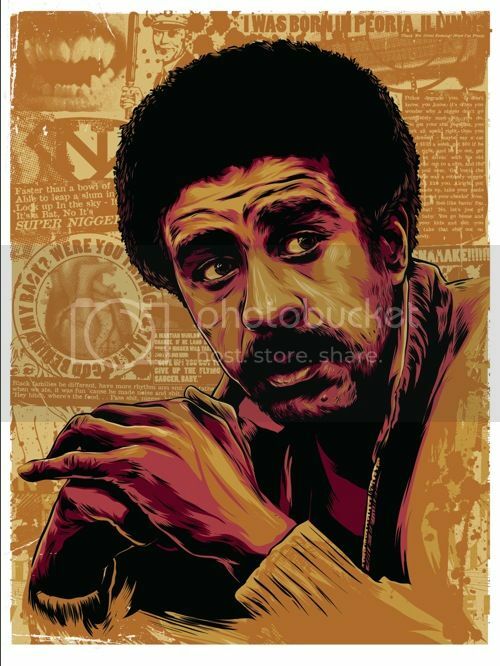 Lastly, they’ve worked with the estate of Richard Pryor on an official art print by Ken Taylor. “Thank You. Good Evening! Hope I’m Funny.” is an 18″ x 24″ screenprint, has an edition of 160, and will be $30. All of these prints go up today (Wednesday, June 30th) at 11am CST. Visit Mondotees.com. I Love The Bride ! Does anyone know if Alamo is doing a print for the Jaws show? Martin Ansin is one of my new favorite artists. Had to buy one. It was my first time trying to buy a print from Mondotees. I thought I was quick on the draw for the variant until I started getting bounced back and forth it was not a pleasant experience. I kept thinking that I could see the light at the end of the tunnel but then had to jump through another hoop. Anyways the variant went bye,bye. It was a good try; but there was no need for all these steps. Though the mondo site could use a little improvement there are always going to be people that miss out and are pissed off. Its the nature of limited editions. The frustration is going to get directed at the site or flippers. Personally I have had nothing but great service from mondo and think the frustration is a little misguided but understandable. Martin Ansin is fast turning into one of my favorites! and Taylor just hit it farther out of the park than Shep has in quite some time! @grant: the shopping cart issue is one that plagues mondo and mondo alone and has done so for quite some time. It really does need to be fixed and can be fixed quite easily. Not much whining about this drop really. Most of us that wanted one got one. Justin just needs to streamline the checkout process and can only know what’s wrong through our feedback. Oh man, Ken Taylor is good. That Pryor print is amazing.